Famous Dave’s in the Valley (Mesa, Chandler, SanTan and Peoria) will be serving Blackberry BBQ Ribs and Blackberry BBQ Lettuce Wraps that were introduced by Dave during the Best In Smoke competition. MINNEAPOLIS, MINN., April 26, 2011– Famous Dave’s of America, Inc. (NASDAQ: DAVE) announced today that Famous Dave Anderson, BBQ legend and founder of Famous Dave’s Bar-B-Que, along with Charlie Torgerson, Directory of Culinary, will be featured in Food Network’s Best In Smoke competition, a new four episode program that premieres Sunday, May 8, 2011. The Best In Smoke series premieres on Sunday, May 8 at 10 p.m. ET/PT. Six of the best barbecue masters hailing from cities across the U.S. meet in New York City to face off for a $50,000 grand prize and the right to claim the title of Best In Smoke. Hosted by Bryan Caswell (season three contestant on The Next Iron Chef), this competition tests the competitors’ endurance and skill as they take on multiple challenges in a day with limited resources and cook for vastly different audiences. From barbecue to desserts to single bite hors d’oeuvres, no food is off limits. Contestants show off their personal style and quick wit throughout the competition, but a final mad dash to three separate venues around Manhattan and Brooklyn will determine which competitor will be awarded the coveted title of Best In Smoke. At the end of each week’s episode, viewers will learn which competitors advance to the next round of the competition. Host Bryan Caswell kicks off the competition on the premiere show by challenging the six teams to create their best “single bite” for the judges. Once the clock starts, it’s an all-out scramble and the competitor who cooks up the best “single bite” wins immunity from elimination and joins the judging panel for the next round. Then, the competitors devise the ideal BBQ hors d’oeuvre for an upscale art gallery opening. The fate of the finalists hangs on the opinions of the gallery guests who decide which competitor is safe from elimination. Famous Dave’s will use innovative social media to make the show more available to Guests and fans. Founder Dave Anderson and Charlie Torgerson will host an “After the Show ‘Que & A” on Monday, May 9, that will be live-streamed from a Minneapolis Famous Dave’s restaurant. The show will be hosted online on the Famous Dave’s website so fans from all over the world will be able to view the after show live at 7:30 p.m. ET/PT. Fans will be able to submit questions, and Dave and Charlie will answer them live, along with sharing special moments and behind-the-scenes insights. If Dave and Charlie make it to the next round, the live-streaming after shows will continue airing online on Monday nights. 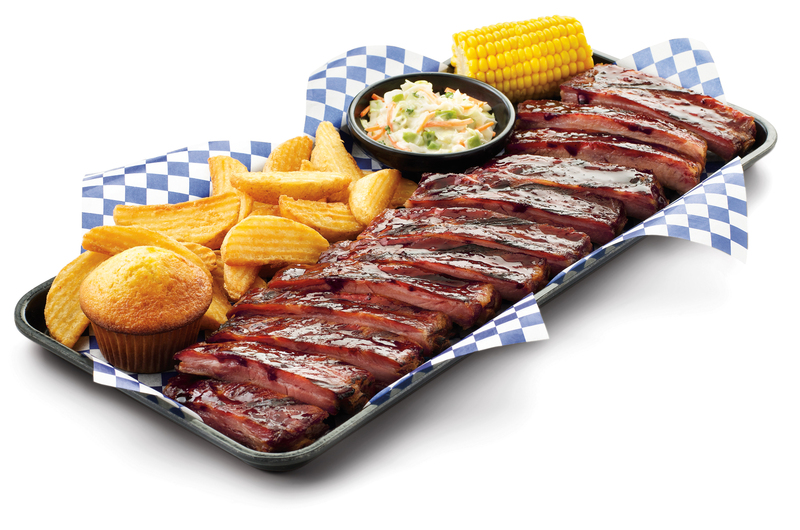 Famous Dave’s of America, Inc. (NASDAQ: DAVE) was founded by ‘Famous’ Dave Anderson, whose passion for BBQ led him on a 25-year cross-country trek to find the best regional BBQ recipes in the country before opening the first Famous Dave’s in Hayward, WI. As of today, the company owns 52 locations and franchises 130 additional units in 37 states, and is known for its on-premise real pit smokers, scratch-recipe cooking, and 500 national and regional awards for everything from best ribs to best Bar-B-Que sauce to best cookbook. They offer a wide variety of BBQ favorites including signature award-winning St. Louis-Style Ribs, Texas Beef Brisket, Georgia Chopped Pork, and Country-Roasted Chicken. Each seasoning blend was personally developed by Dave himself after years of trial and error to bring flavorful and authentic BBQ to his Guests. Scratch-recipes round out the menu with delicious sides and desserts that include meaty Wilbur Beans, Drunkin’ Apples, and Dave’s Famous Bread Pudding. For more information, please visit www.famousdaves.com. Statements in this press release that are not strictly historical, including but not limited to statements regarding the timing of our restaurant openings and the timing or success of our expansion plans, are forward-looking statements within the meaning of the Private Securities Litigation Reform Act of 1995. These forward-looking statements involve known and unknown risks, which may cause the company’s actual results to differ materially from expected results. Although Famous Dave’s of America, Inc. believes the expectations reflected in any forward-looking statements are based on reasonable assumptions, it can give no assurance that its expectation will be attained. Factors that could cause actual results to differ materially from Famous Dave’s expectation include financial performance, restaurant industry conditions, execution of restaurant development and construction programs, franchisee performance, changes in local or national economic conditions, availability of financing, governmental approvals and other risks detailed from time to time in the company’s SEC reports. Note to Editors: Contact Jean Golden (612-385-2324 or jean@goldenpublicity.com) for Dave Anderson interviews, photography and other requests. This entry was posted in blog and tagged AZ, barbeque, bbq, CHANDLER, FAMOUS DAVES, food, GILBERT, meat, MESA, peoria, phoenix, ribs. Bookmark the permalink. One Response to "Famous Dave’s Competes in Food Network’s Best In Smoke BBQ Showdown"
Wow ! I’m craving ! Smoke BBQ is one of my favorite dishes ! thanks for sharing this one !